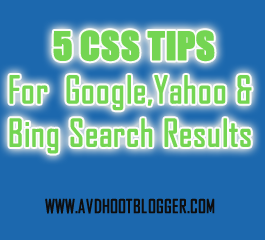 5 CSS Benefits OF SEO For Blogger to get Google Search Results and traffic, How good CSS can make your site appear in Google and other search engines. There are lots of different methods about SEO tips for Google search results to get your website on the first page of Google, but one of the most important parts of on page optimization and that is done with internal links and CSS. So underestimation of CSS will not be cool for you. In this article we are going to discuss how a good CSS practice can put you in Google search results and you receive traffic from search engines. So we will discuss here what a search engine likes in CSS and then we will do it on our website so that it can be helpful for you. We have already described the importance of post title before the homepage title, so now we will discuss the importance of css in SEO and how CSS can bring Google search results. CSS can make your site or blogger blog loading fast, so you must use it effectively. It will reduce the page size and hence loading time of page increases. Try to decrease loading time of your website and it will result into the more traffic from Google search results. If you want to see proof then check the loading speed of most famous website here. It will be lower than yours. Surprised, what are the search engine recognized standards, well these are the HTML tags which are H1 and H2. Anything that you insert between them search engine takes them as the most important content so use them with CSS. But do not overuse it or you will be punished or ignored by the Google. If you are making a menu then you must avoid using tables for them and use UL and LI these are the search engine recognized standard tags. And also easily crawlable. So always make your menu with UL and Li. These are mostly used for links list and menu. CSS also helps to get traffic from Google image search results but only when you put all the required things on images that indeed by search engines. Images brings lots of traffic for my blog because I use all the properties that are mentioned in the article that I am sharing with you. On page optimization tips for Google search results. This little trick will change the game for your blogger blog. I did it and I am happy to see my increased Google search results. Putting your blog title before the homepage title will increase your Google search results. I have written all the CSS code required to do this job done and you must not avoid this if serious about getting Google search results. The post title before the homepage title. Please comment for your suggestions, I need your suggestions so please oblige me through your comment. Description : 5 CSS Benefits OF SEO For Blogger to get Google Search Results and traffic, How good CSS can make your site appear in Google and other search engines.